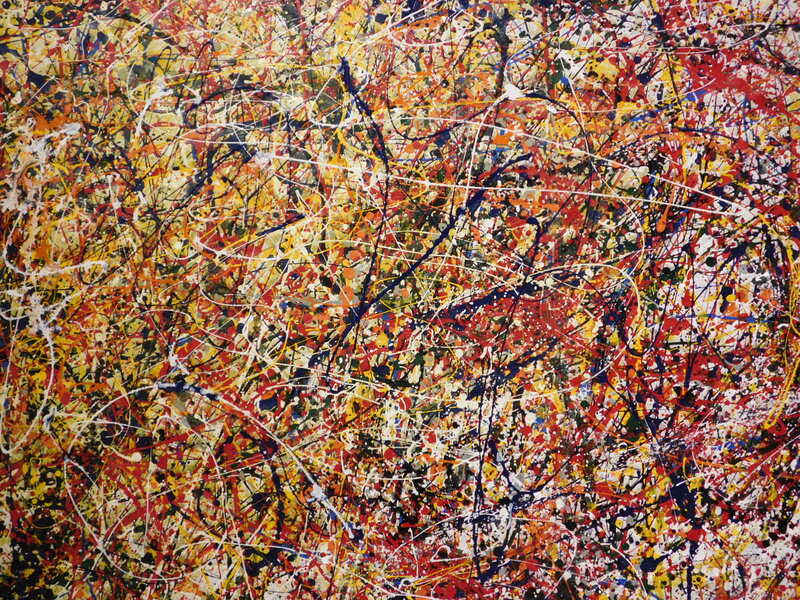 Jackson Pollock was an influential American painter and the leading force behind the abstract expressionist movement. He transformed the art world when he introduced his first drip paintings in 1947. His work brought together elements of Cubism, Surrealism and Impressionism, and with this method he transcended them all. 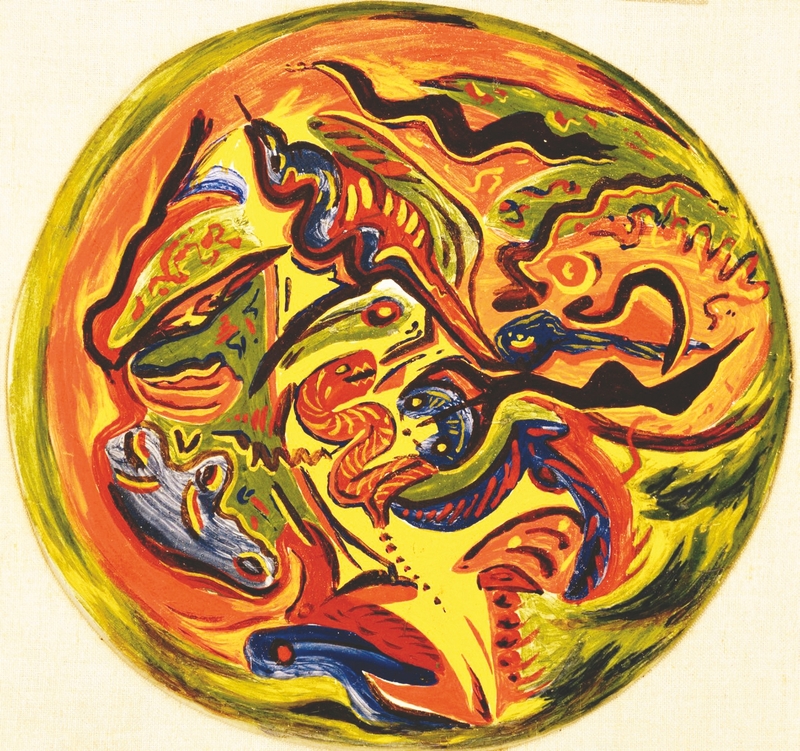 During his lifetime, Pollock enjoyed considerable fame and notoriety, yet he was also a controversial figure who fought personal battles throughout his whole life. He was born in Cody, Wyoming in 1912 and experienced Native American culture in his youth, which influenced his early works. In 1930 he moved to New York and studied at the Art Student’s League where he struggled to forge his identity as an artist and to reconcile his prior Western upbringing with the radically different environment of New York City. He had a volatile personality; he struggled with alcoholism, depression, grand ambition and self doubt. He married Lee Krasner, another artist, who put her career on hold while they worked toward his success. In 1949 Time Magazine ran an article on him with the title: Jackson Pollock, Is he the greatest living painter in the United States? The article changed his life overnight and helped cement his reputation. 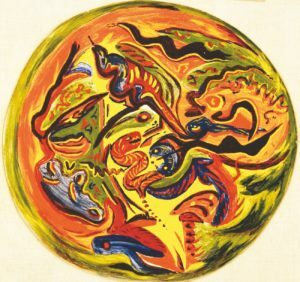 In the early 1940’s Pollock began to lose the figures and forms of his earlier work and covered his canvas completely with marks. His work transitioned into the drip paintings that he is so famous for. His style of painting is also known as action painting. Action painting was first coined in 1952 by the American art critic Harold Rosenberg in the December edition of Art News. 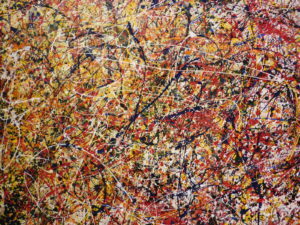 It referred to Pollock’s technique of dripping paint onto a canvas. Instead of using the traditional easel, he placed his canvases on the floor and dripped, splattered and poured paint onto them from a can, using sticks, trowels or knives. 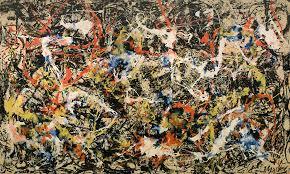 Sometime around 1952, at the height of his fame, Pollock abruptly ceased using his action painting method. At the same time his palette grew darker and he produced a series of black pictures painted in oil and enamel on unprimed canvases. In a few years he was back to adding color and some figurative elements to his paintings but he was also drinking heavily and that was taking a toll. 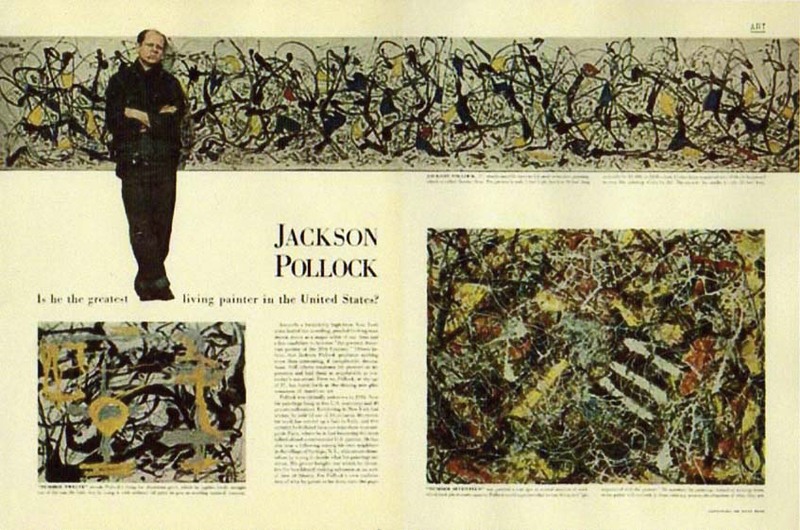 Pollock painted his last works in 1955, just 6 years after the Time Magazine article was published. He died tragically in 1956. Currently at Woodshed Art Auctions, we have a canvas that was painted in 1951, right before Pollock began his black painting series. The colorful palette in this drip painting is carried right to the edges, suggesting this work was painted off the easel and probably on the studio floor. The date of creation is at the height of Pollack’s notoriety and fame and when he was most at peace with his process.